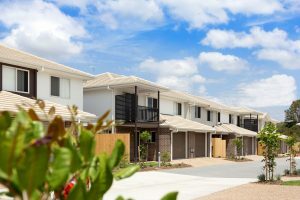 In this year’s budget, Treasurer Scott Morrison announced some surprising changes to investment property tax rules that are going to affect many current and future property investors, and those who sell dwellings to these investors. Travel allowances were attacked as well as changes to depreciation rules on what can and can’t be depreciated on investment properties acquired at or after 7:30pm (ACT time) 9 May 2017. The changes to the depreciation rules are a little more complicated than first meets the eye. So, what was the problem? Apparently, the revaluing upwards of depreciable assets acquired with a rental property effectively allowing consecutive landlords to “double dip” on depreciation claims. How will these rules affect you? For the investor to be eligible for depreciation claims, the developer’s activities and timings are critical in determining eligibility for depreciation deductions. If the property has been used before acquisition, eligibility for depreciation deductions for the purchaser can be compromised. This presents a real conundrum where a developer perhaps has trouble selling their new apartments so decides to lease out the property until an eventual sale. While, ordinarily many developers may only lease on a short time basis, there are some strict timeframes that apply around this in the current form of draft legislation, that are best illustrated in the below scenarios. n’t be affected, no matter the timeframe from “completion” to sale, as the property has not been “used”. period of time before sale. The purchaser is not eligible to claim depreciation on the property as the property has been “used” and the developer hasn’t sold the dwelling within 6 months. Scenario 3 – Developer holds the property as trading stock and sells the property within 6 months from date of completion and tenants the property before sale. The purchaser will be eligible to claim depreciation on the property as although the property has been used, the developer has sold the dwelling within 6 months. The practical issue here will be the purchaser determining exactly when the property was completed by the developer and therefore the timing of when this six-month period commences. If you have lived in your house and plan to rent it out, this represents an issue from a depreciation point of view. These new rules do not merely deny a landlord a depreciation deduction for any asset acquired with a pre-existing rental property, but also deny a deduction in relation to an asset that was bought new but used by the landlord for a non-taxable use (for any period other than occasional use). Therefore, having used the assets whilst living in your home, the assets will be considered used so will not be able to be depreciated should you rent your home out, leaving a sting in the tail for some home owners who are looking at this strategy. Substantial renovations = New property? Is there a way around this limitation on depreciation by undertaking renovations? The definition of new residential property does recognise that premises subject to substantial renovations may thereupon become new again. 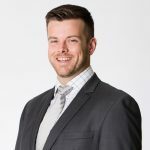 Substantial renovations are also defined in the GST legislation as, broadly, renovations in which substantially all of a building is removed and replaced, not necessarily involving structural alterations. This is clearly a problematic definition; however professional advice should be sought so we can assist you in ascertaining whether your renovations are “substantial enough” in the ATO’s eyes. Purchased just before budget night, am I in the clear? Maybe, but not necessarily! These new provisions are to apply from 1 July 2017 for assets purchased at or after 7:30pm (ACT time) 9 May 2017. However, it should be noted that the provision can also apply to assets acquired before 9 May 2017 where they have not been available for a depreciation deduction at any time during 2016/17. This denies a depreciation deduction for earlier acquired personal assets that are subsequently used in rental properties. According to the Explanatory Memorandum, use for occasional purposes that would engage the deduction denial might be staying in investment premises overnight while attending to maintenance or spending a weekend in a holiday home. It can be expected this will be an area for close inspection given the common practice of owners of holiday let units to perhaps stay a week or two a year in their apartments. Such practices should be managed carefully in order to not deny future depreciation deductions in relation to the property after said two-week holiday. Fortunately, these new rules do not in any way affect the eligibility to claim capital works deductions under div 43. Capital works deductions, is a deduction allowed in relation to the write off of building works, extensions, structural alterations & improvements. Eligibility for this will be determined by the timing of when the works were undertaken. Ultimately, if you are a property investor or someone selling property to investors, you must be aware of these new rules and how they will affect the particular property. There are a few particular aspects to be wary of so if you would like to discuss your property related matters please feel free to get in touch with one of the experts from Hoffman Kelly immediately.